April 15 means it's time for most of us to give the IRS its annual pound of flesh. "Most of us" being the operative term  a few delinquents try to fool the tax collector, but it usually only works for so long. Here are 10 of the biggest (and most famous) tax dodgers. 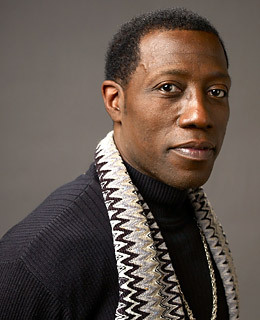 Wesley Snipes tried nearly every defense to avoid paying taxes. Star of the Blade trilogy and White Men Can't Jump, Snipes narrowly escaped tax-fraud charges in 2008 after a lengthy trial in which he blamed his advisers for bad information and claimed, at various points, that the IRS was an illegitimate government agency, that he was a nonresident alien, that he had received bad information from his associates ... and on and on. The excuses weren't enough to dodge a conviction on the charge of not filing a tax return, and Snipes received a three-year prison sentence for his malfeasance. See baseball's worst first pitches.